Trees, shrubs and perennials are arriving daily and there are many to choose from. The cool temperatures and more frequent rains make spring an excellent time to plant. Root growth is vigorous in cool temperatures making for good strong plants. But make sure the soil isn’t soggy wet. Vegetable crops like lettuce, cauliflower, broccoli, kale, cabbage, strawberries, brussels sprouts, leeks, onions and more thrive in cooler temps. 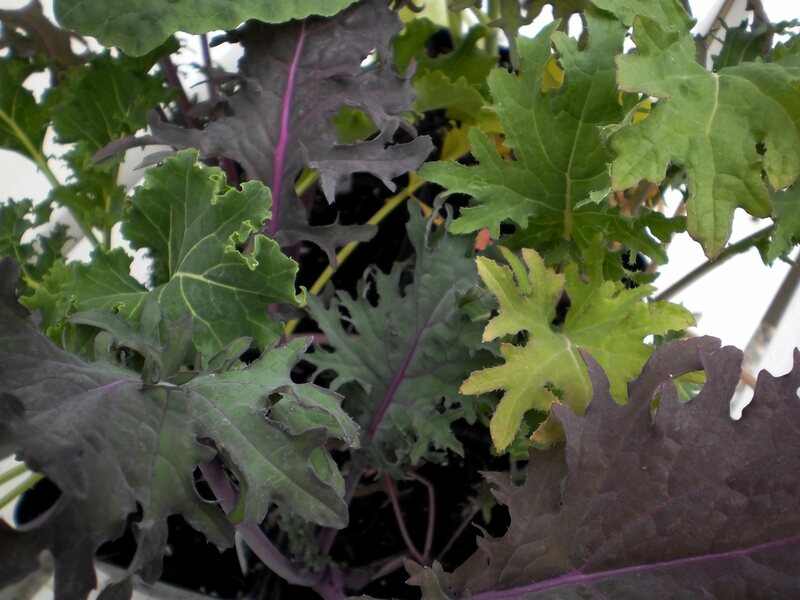 This year we expanded our edible kale selection to include 3 new varieties, ‘Tuscan Baby Leaf’—a fast grower good for salads, ‘Vates Blue Curled’—slow to bolt it makes great chips, and ‘White Russian’—one of the most tasty. Our ‘Candy’ onions received raves from a customer who grew them. Many seeds may be planted now also. Most vegetables need full sun – six to eight hours and an enriched soil. Consider adding compost to your beds and work it in lightly to provide the perfect seed medium. The Growing Place has developed our Garden Mix as a wonderful amendment to loosen clay soil and add much needed compost. *Remember that even some of the cold tolerant perennials and annuals need hardening off (acclimated to cold temperatures). Most of the perennials and annuals we have for sale now have been hardened off and can be safely planted. To harden off a plant, keep it outside during the day and bring into garage at night for about a week. You are welcome to pick up our handout that further describes the process. Keep an eye on temperatures. If nighttime temperatures fall into the twenties, bring in or cover your plants, as you may see evidence of frost damage if they are left outdoors. Our average frost free date is May 15, but that means there’s a chance of frost.